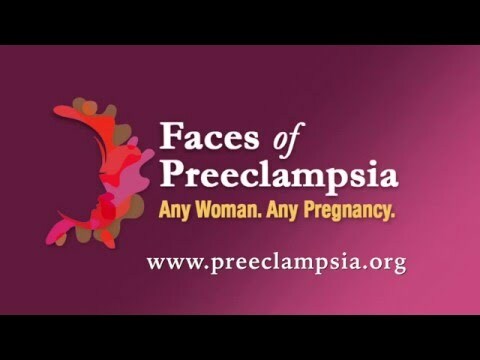 A longer article from the Preeclampsia Foundation was posted by the Association of Women's Health, Obstetric and Neonatal Nurses (AWOHNN) on their website, but here are the highlights. A survey or our members brought to light the following top 10 ways nurses are sensitive and helpful to preeclampsia patients. 1) Thank you for educating me to know the symptoms and how dangerous preeclampsia can be. 2) Thank you for being willing to listen and learn from the women you care for. 3) Thank you for being alert so that common medical errors are avoided. 4) Thank you for being sensitive to our vulnerable emotional states. 5) Thank you for showering us with compassion and kindness. 6) Thank you for being aware that due to our complicated pregnancy we are at risk of having post-traumatic stress disorder. 7) Thank you for effectively communicating to your colleagues when you transfer our care to other nurses. 8) Thank you for being honest with us. 9) Thank you for helping us and our families cope with loss or having a baby in the neonatal intensive care unit. 10) Thank you for remembering that we may be struggling with feelings of guilt for having failed at pregnancy. The expert and compassionate care nurses provide to women who have preeclampsia is greatly appreciated and will be remembered for a lifetime.